You'll be £28.00 closer to your next £10.00 credit when you purchase The Last British Battleship. What's this? 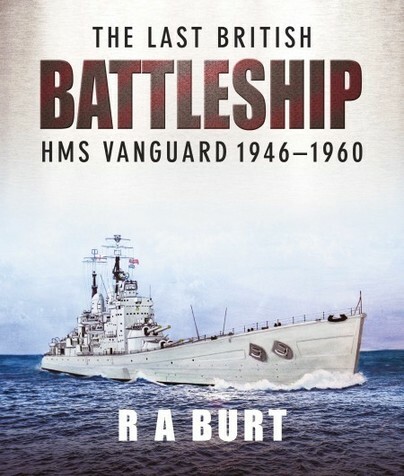 The ninth HMS Vanguard, bearing one of the most illustrious names in the Royal Navy with honours from the Armada to Jutland, was the last and largest of Britain’s battleships and was commissioned in 1946. Her design evolved from of the King George V class and incorporated much of the fully developed design for the two battleships, Lion and Temeraire, that were laid down in 1939 but never completed. At 813ft length overall and 42,300 tons, she was the last battleship to be built in the world and the only ship of her class. She was built during the Second World War and incorporated existing twin 15in mountings, and was part of the Royal Navy’s response to the combined and increasing number of German and Japanese battleships in the early 1940s. She was immediately recognisable by her transom stern and high flared bow and had fine sea keeping ability. Her appearance after the end of hostilities, however, and her huge crew requirements proved a conundrum for the Royal Navy, her most significant role being that of Royal Yacht during the royal family’s tour of South Africa in 1947. She was broken up at Faslane in 1960. In this new book by R A Burt her design, construction and career are all covered. Armour, machinery, power plants and weaponry are examined in detail and the author has produced some 35 superb plans, profiles and other line drawings for which he is renowned. The text is further enhanced by the addition of some 80 colour and black and white photographs from his collection. 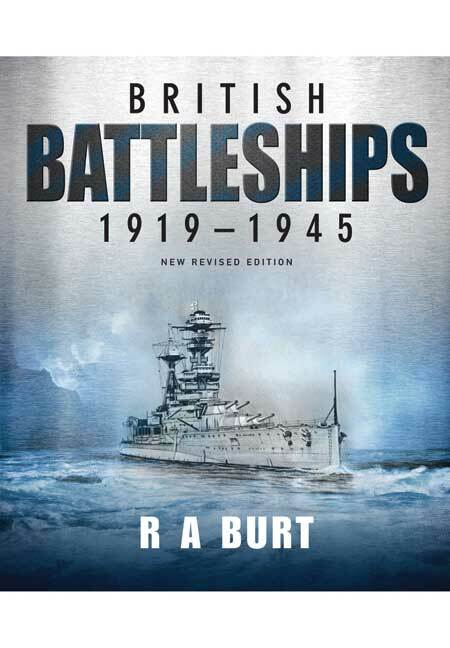 His earlier three volumes are regarded as definitive works on the subject of British battleships before 1945; with this new book he finally completes the story of the Dreadnought era, bringing to life the last of a magnificent type of vessel of which the world will not see again.